Thanks for all of the clients who always give us substantial support and bring us the power to get a better improvement. This fair attracts 4100 exhibitors, high quality buyers over 9900. It is the world's largest electronics trade platform. Longse as one of exhibitors has these gains from the exhibition. 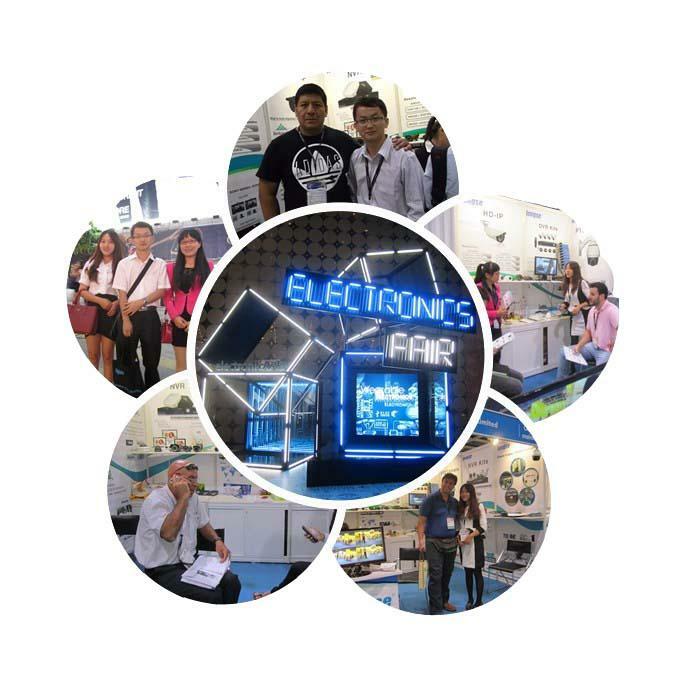 At Hongkong Fair, many new clients show their great interests in our products and cooperation chances with us. Most of the clients are interested in HD products. Especially for HD-IP Camera and Analog HD camera. From here, we can find that the market is asking for a much higher requirement about the picture quality now. All the clients who tested our CVI, AHD & 2MP IP cameras were very satisfied with the quality. Among them, 2MP camera is very popular because of the stable quality, especially for camera with Ambarella solution shining with WDR function and Low stream. Thanks for all friends and customers always giving us impetus to move forward and get better improvement. Let’s hold together to create a much brighter future!